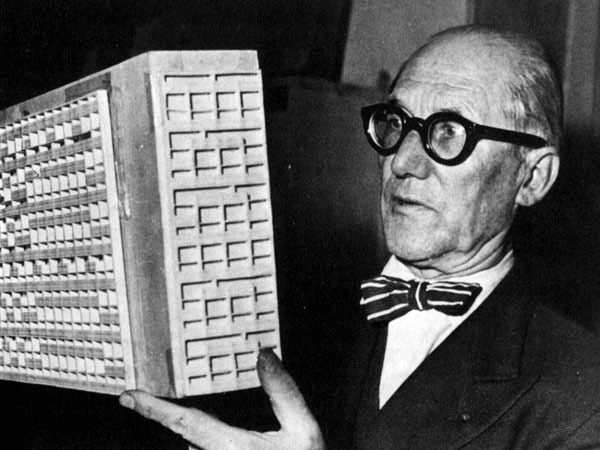 Le Corbusier, looking on a scale model made for one of his designs. 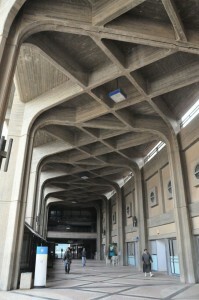 You could definitely see the connection between it and the Brutalists architecture. 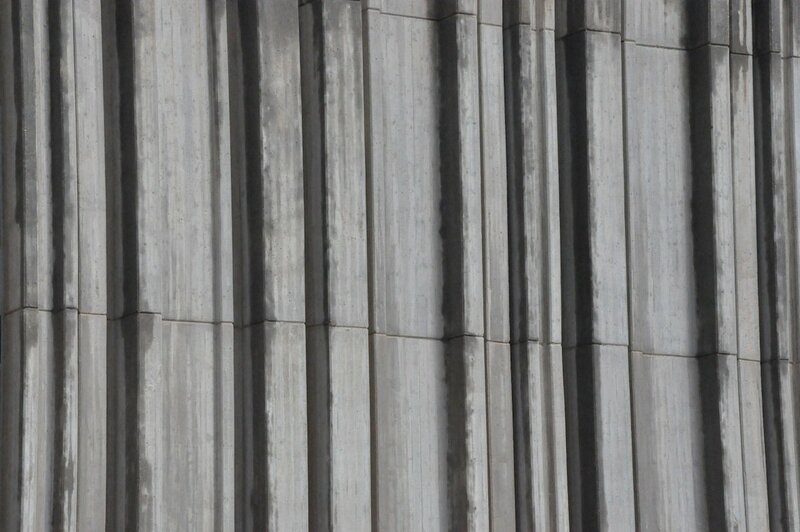 Inspired by his ideals, the Brutalist architecture style was developed. The Brutalist architects were broadly active in Germany, UK, France, Italy, Australia, Israel, Yugoslavia, Japan and the US. Mainly at the first half of the 20th century until the seventies. 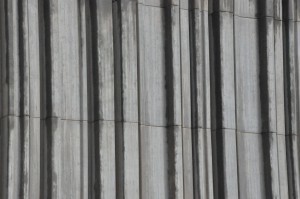 Brutalist design is characterized by the exposed cement and simple functional structure. The structure supposed to represent the essence of a building, therefore the most important elements are the materials, space and form. 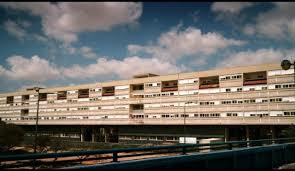 The name, Brutalists come from Le Corbusier’s expression (French) – Béton Brut, which means raw concrete. 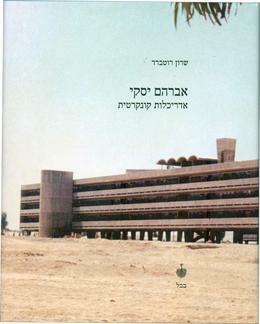 One example of an utopian Brutalist experience is in Be’er Sheva. “The capital of the desert” in Israel. 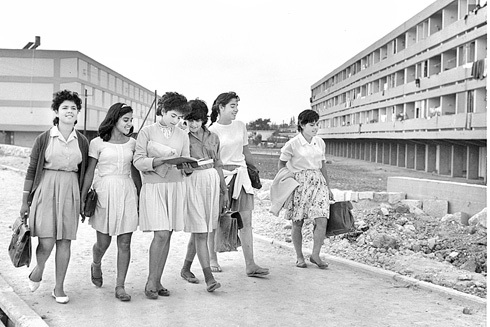 After Israel was established in 1948 the new government encouraged the building up modern, progressive projects. The new developing country had a lot of new migrants coming from all over the world. Their vision was to make all these people feel and act as one united nation. Even though they were coming from such different backgrounds, they were bound to be as one. As more and more newcomers continued coming, there was a constant need of new buildings. That aspect gave the chance to many architects to bring to life very unusual plans. One of the most famous projects in the city was designed by Avraham Yaski and Amnon Alecandroni. They were planning a very long building that was part of an utopian neighborhood – a large scaled housing project, called “The Fifth Neighborhood” – in Hebrew “Shouna hei”. This neighborhood was designed as “A Model Neighborhood” and it includes different architectural projects that were supposed to show different kind of modern, progressing attitudes towards the deserts conditions. The most well known one, that also became as a symbol for Israeli Brutalist building is the Quarter Kilometer Long Building . This project was completed in the 1960s. It used to be considered as the longest block in the Middle East. The Idea was to build such a long building that will block the wind and the dust, then in the surrounding of it they were building up lower houses that enjoyed from protection of the larger structure. Inspired by Le Corbusier the first level is only pilots and is being used as an open space. The building is very geometrical and simple and there are any windows that have a wide conceit frame to differed it from the strong sun shine. The longest block in the middle east. 1960. Be'er Sheva. Today many people criticize the Brutalist style, claiming that the exposed cement, the rough structures and the simple geometric shapes looks massive, neglected, aggressive, ugly and represent the way the regime was trying to force this unreal utopia version. Building in the same way they where trying to led the people as one machine that needs to serve a certain kind of a national dream.